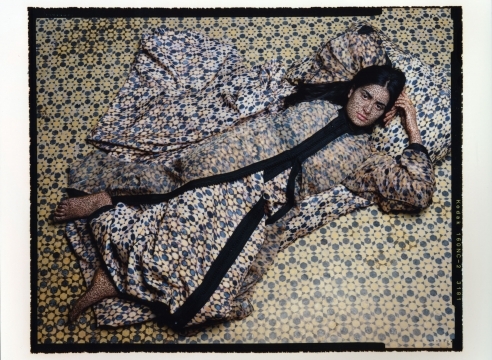 Galerie Edwynn Houk is pleased to present an exhibition of photographs by Moroccan-born artist, Lalla Essaydi. 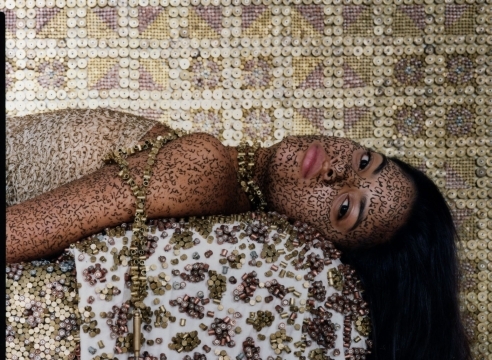 The exhibition will include work from two of her ongoing series: Harem (2009-2014) and Bullets (2009-2014). 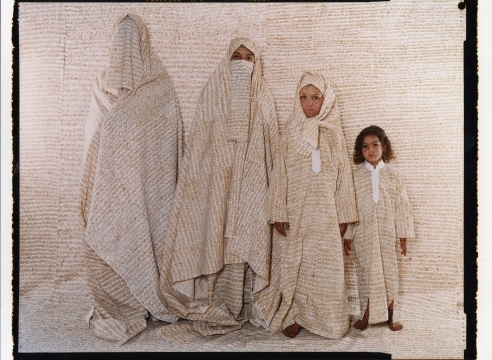 In her first major series, Converging Territories (2002-2004), Essaydi developed a unique working method and set of visual devices that include applying many layers of text written by hand with henna in Islamic calligraphy to her subject’s faces, bodies, and environments. 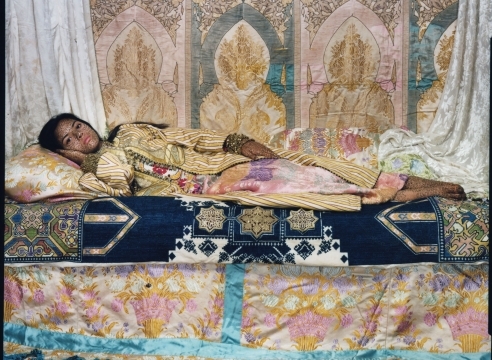 In the series that followed, Les Femmes du Maroc (2005-2007), Essaydi began arranging her subjects in poses directly inspired by 19th Century Orientalist imagery reminiscent of paintings by Jean Auguste Dominique Ingres, Eugène Delacroix and Jean-Léon Gérôme. Utilizing the perspective of an Arab woman living in a Western world, Essaydi reexamines the Arab female identity. 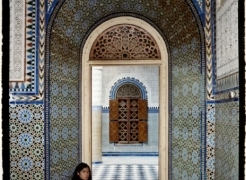 In the Harem series (2009) Essaydi continues to explore many of the themes characteristic of her earlier work but in an entirely new setting, Dar al Basha, a vibrant architectural Moroccan palace. The artist designed fabric for the subjects that mimic the patterns within the palace, which is decorated in painstaking detail with mosaic, stucco, stained glass and carved wood. Having navigated the labyrinthine corridors to reach the actual harem quarters, the subjects are at once camouflaged with the decoration that surrounds them and emerge from the traditional spaces they once occupied. In Harem Revisited (2012-2013), Essaydi’s subjects are clothed in elaborate caftans and their environments are now covered with richly adorned fabrics. These vintage textiles, which were created between the 17th century to the early 20th century for use in wedding ceremonies, to decorate palaces and the harem area, were all generously loaned to Essaydi from the Nour and Boubker Temli collection. 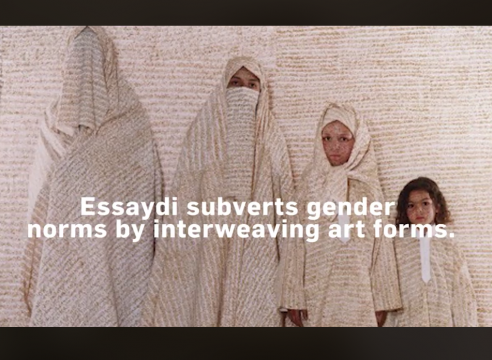 Essaydi has had solo exhibitions at The Smithsonian Museum of African Art in Washington DC (2012-13) and The Baku Museum of Modern Art in Azerbaijan (2014). Her work as been included in group exhibitions at The World Art Bank Program, Washington DC; Museum of Fine Arts, Boston; the Bronx Museum, New York; the Tampere Art Museum, Finland; and the Bahrain Museum/Ministry of Culture. She is represented in a number of collections including the Art Institute of Chicago; the Fries Museum, The Netherlands; the Museum of Fine Arts, Boston; the Brooks Museum of Art, Memphis; the Jordan National Museum; the North Carolina Museum of Art; the Brooklyn Museum of Art, New York; The Louvre Museum, Paris and the Los Angeles County Museum of Art. Using the lens of her personal experience, LallaEssaydi (b. 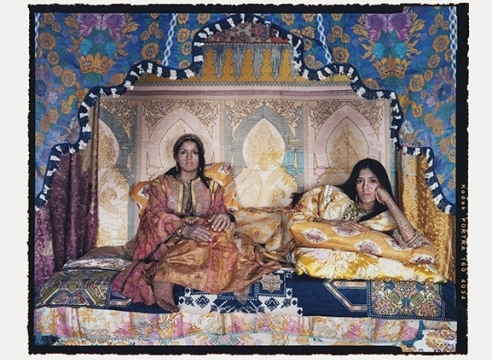 1965, Marrakesh, Morocco) reveals the complexity of Arab female identity by challenging stereotypes she has encountered in both the East and the West. 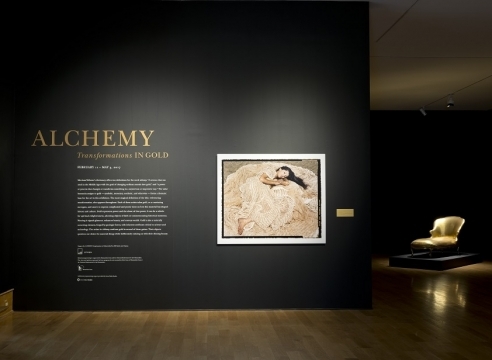 Lalla Essaydi's Bullets Revisited #3 and Bullets Revisited #22, pictured here, are included in the exhibition.